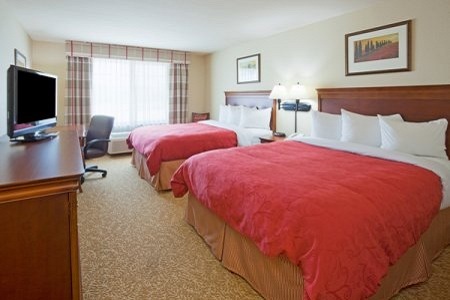 Hotel near Howard, WI Welcomes Families and "Cheeseheads"
Whether you’re here for a family getaway, a Packers game or a special event, the dog-friendly Country Inn & Suites® by Radisson, Green Bay North, WI is proud to be your home away from home. Drive about seven miles to visit the beautiful Green Bay Botanical Garden, and then challenge your kids to bowling next door at The Gutter. Going to a Packers game? We provide a game-day shuttle to Lambeau Field, situated just nine miles away. For a romantic getaway with someone special, book our Whirlpool Suite. 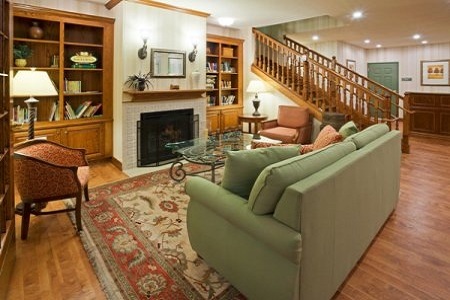 Amenities include a king-size bed and an in-room whirlpool for two. 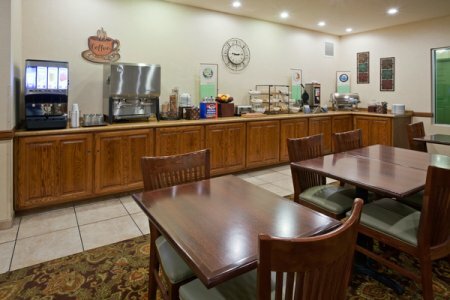 Our complimentary, hot breakfast ensures your family doesn’t hit the road or the city on an empty stomach. Indulge in hearty choices like eggs and waffles, or take grab-and-go items like muffins and fresh fruit if you’re in a hurry. Our hotel is also located close to an eclectic mix of restaurants for lunch and dinner. Enjoy the casual pub fare of Anduzzi’s Sports Club or the tapas served at The Bottle Room. NEW Zoo & Adventure Park – Visit the NEW Zoo to hand-feed giraffes, watch the antics of penguins and even see baby snow monkeys. This popular attraction also includes an Adventure Park, where you can test your courage on the high ropes, reach the top of the climbing tower, or race a friend on the thrilling dual zip line course. Lambeau Field – Located nine miles away, this legendary football stadium has been welcoming Green Bay Packers fans on game day since 1957. When there’s not a game happening, drop by for a stadium tour or a visit to the Packers Hall of Fame on site. Oneida Casino – You’re just a nine-mile drive from trying your luck at poker, craps, roulette and slots at Oneida Casino. On weekends, don't miss free live music in the Casino Lounge. The well-appointed meeting room isn’t the only reason why our hotel is ideal for your next small private party. Our friendly, knowledgeable staff can also assist with all of the planning details to ensure your soiree shines.